Fixed calculation of price field width in Market Watch tick charts and trading dialog when using large system font. Added account leverage in all reports of the client terminal. Fixed handling of alerts in the form of Push messages. Now, description of alert is filled out automatically on sending. Fixed translation of the user interface into Korean. Fixed update of signal balance data when depositing or withdrawing the funds. Fixed consideration of the credit in case of the automated risk management. 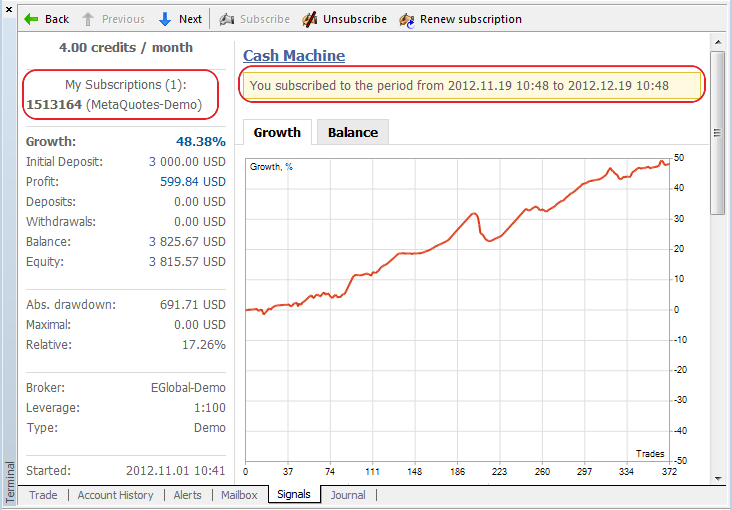 Fixed synchronization of the list of trading signals the account is subscribed to when the application is launched. 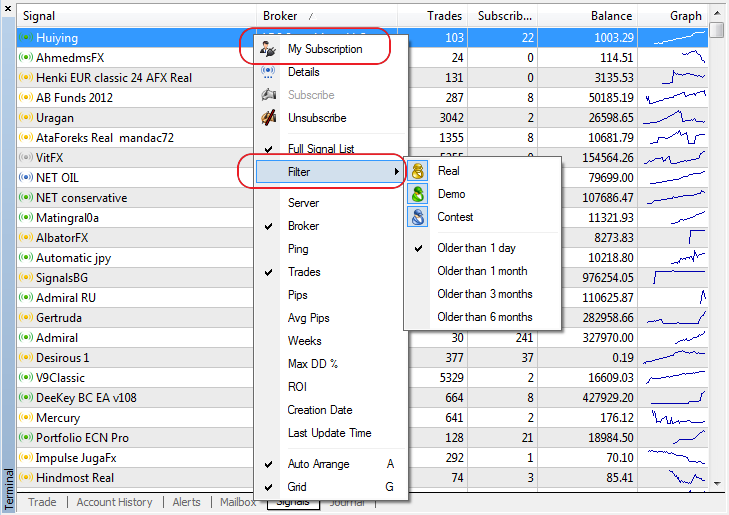 Changed the algorithm of displaying the list of available signals: only the signals that work with the same broker as the client account are shown by default. If there are no such signals, all available signals are shown. Fixed and optimized the operation of signals when working via proxy servers. Removed reset of optimization results when changing the parameters of a single test.